In 2001, Dr. Marc Moramarco embarked on an exhaustive search for a scoliosis exercise rehabilitation option to help his daughter avoid spinal fusion surgery. He consulted with a who’s who of scoliosis physicians from all over the U.S.. Not one informed him of the existence of the Schroth method–an exercise treatment protocol for scoliosis. Finally, after several months, Dr. Marc Moramarco discovered its existence in Germany. Soon after learning about the Schroth method, Dr. Moramarco took his daughter to Germany and met Dr. Hans-Rudolf Weiss, who was the medical director of the Asklepios Katharina Schroth Clinic at that time. He spent several days at the clinic and what he witnessed firsthand, after months of dead-ends, was inspirational. He knew he needed to continue to learn everything possible about the method. He went on to study under every major international expert on the Schroth method at that time including Frau Christa Lehnert-Schroth PT, Axel Hennes PT, Dr. Weiss, and Dr. Manuel Rigo. Within a short time, Dr. Moramarco’s daughter improved significantly, well below the surgery threshold for scoliosis (although the family never intended to choose surgery). Dr. Marc knew in his heart that he had to introduce the Schroth method in the U.S. despite the denial from the medical profession that scoliosis exercise may help scoliosis because he had seen otherwise. His goal was, and still is, to help others looking for non-surgical alternatives to treat scoliosis to try and stop curve progression. After becoming the first US practitioner to be certified at the Katharina Schroth Clinic, he established Scoliosis 3DC, with the purpose of offering scoliosis exercise rehabilitation for patients and families searching for exercise alternatives to provide help for people with scoliosis. Since then, he has become a highly esteemed scoliosis practitioner and international lecturer on scoliosis rehabilitation and provider of Schroth method compatible bracing. He has put together a caring and highly qualified team of professionals including Schroth therapists, Amy Heller OTR/L, and Kim Kruzel, OTR/L. They offer Schroth method instruction for local patients as well as immersion programs (the way it is done in Germany) for out of state or country patients who travel to Boston for their expertise, as well as a Schroth scoliosis brace–the Gensingen Brace, a Cheneau-style, a scoliosis brace by Dr. Weiss (GBW). Dr. Moramarco’s involvement with the Schroth method and the family now spans more than seventeen years. In 2015, he co-authored Schroth Therapy, with Dr. Weiss and the late Christa Lehnert-Schroth, PT. The book is based on the most current Schroth method concepts. While it is still based on the concepts and original exercises of Katharina Schroth, it has been improved and made easier so that patients can integrate Schroth method concepts into their daily activities. Dr. Moramarco was initially trained in the original Schroth exercises for patients. He still incorporates those into programs for patients with the most severe curves. 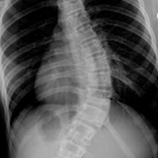 The Scoliosis 3DC program is intensive, comprehensive and effective. It is based on his experiences of treating scoliosis over seventeen years, the Schroth program from the Asklepios Katharina Schroth Clinic, and the most recent add-ons and modifications by Dr. Weiss. These include instruction for modifying everyday activities, Physiologic® exercises, and 3-D Made Easy® scoliosis exercises. The program is designed to help patients with scoliosis stabilize the curvature, improve posture and reduce pain if present. Patients from all over the world have traveled to Massachusetts for the Scoliosis 3DC program. Check out Schroth Method results.